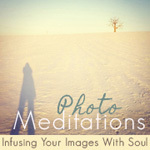 I just completed an online course entitled, Photo Meditations: Infusing Your Images with Soul, taught by the amazing Susannah Conway. If you are unfamiliar with Susannah, you simply must visit her site. She is completely down-to-earth and has this magical way of transforming a purely cyber-relationship into one of intimacy. This summer I took her Unravelling 1 course which led me to immediately register for this photography course. She also plans to offer a course on Blogging this spring as well perhaps other photography courses. I have become a groupie of sorts. But I digress. The purpose of this post is to share with you a “game” that Susannah taught us in the first week of the course. It is called a Photo Scavenger Hunt and I have become totally addicted. The purpose of the game is to build a collection of photographs that inspire you. Inspire you to do what? That’s just it…..whatever you wish. Some photographs I have used to inspire me to take a better picture. 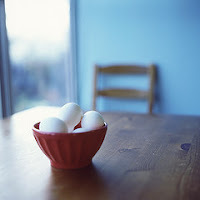 Other photographs I have used to inspire me to slow down and enjoy the moment. Some photographs I have used not to inspire but just to enjoy for the vibrant colors – or the beautiful simplicity – or the magical mood. Well, you get the idea. The rules of the game are simple. First, you must have a Flickr account. If you don’t have one, it is easy to establish and free to start (although I will warn you that once you start taking lots pictures you will definitely want to upgrade to the PRO version which is a mere $25.00 a year). After your account is set you can begin to play the game. There are several ways to start. You can either go to the Flickr home page and begin viewing the most recently added photos. OR…you can input a search term to focus on more specific photographs (for example – conduct a search for Christmas Lights) OR….you can visit my flickr favorites and preview a few of those. Once you find a photo that you like – click on it. A larger image will appear and you can click the “star” icon above the photo. This will add that photograph to your collection of favorites. One of my “favorites” from Flickr. Now… to keep the hunt going, visit the photostream of the person whose picture you just saved. The link to that person’s account is found next to their picture near the top of the right hand column. (NOTE: click on the photo to the right and it will take you to the larger image of this picture on my Flicker page. You will see Diyosa’s favicon and link to her account on the right hand side. Click that link). Once you land on their account page (in this case, Diyosa) – go to their favorites tab and see what images they have chosen to save. Browse through those photos and when you find one you like, click on it. This will bring up the larger image where you can add to your favorites by clicking on the star. Then follow the link of that photographer to their photostream….go to their favorites….browse until you find you one like….etc. This can be done as many times – or in my case – as many hours – as you desire. And each time you play the game you will be led to different photographers who have different favorites from which to choose. It is a delightfully fun game which has helped foster my creative side. At some point I plan to revisit each of the photographers from my favorites page and spend some time searching their photo sets — other pictures that they have taken categorized by theme. I am sure that I will find even more inspiration. I hope I have made these instructions clear. It is really not at all difficult and quite fun. Perhaps in another post I will discuss how I am using Flickr to help me learn the manual mode setting on my dslr. In the meantime I’m gonna go find me some more pretty pictures. Sounds like a great website and I love that photo you posted from Diyosa…very cool! Another reason I'm glad you're back. You give have great ideas. Off to Flickr I go. Molly, I love your new blog design! Hope you've been well and that you have a great holiday season. This sounds like so much fun – and inspiring! I'm going to look into this idea! I've been wanting to improve my photography as well but you're right that it just takes time. Before baby all of my pictures I took were while I was cooking dinner and now they're all of baby. Ha! I would be interested in hearing about which photography books you've found the most useful!